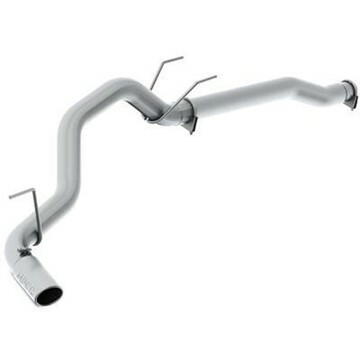 FloPro's 5" Aluminized Steel DPF Filter Back exhaust kit for your 2008-2010 Ford 6.4L Powerstroke. 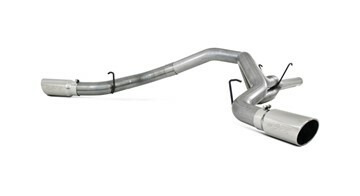 This kit comes does not come with a muffler, but comes with T304 polished stainless steel exhaust tip. 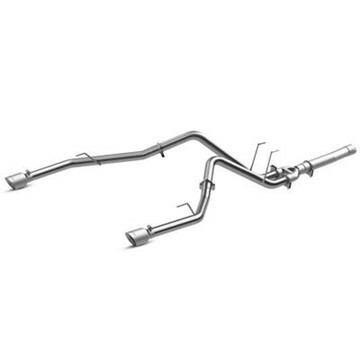 MBRP's AL INSTALLER Series 4" DPF (Diesel Particulate Filter) Back DUAL Exhaust System for your 2008-2010 Ford Powerstroke 6.4L F250/F350/F450 diesel pickup. 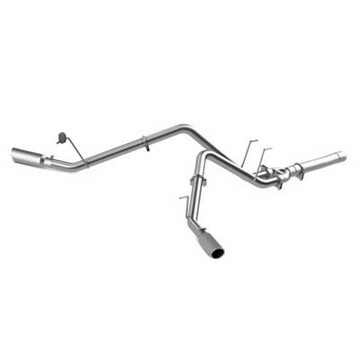 Made from heavy gauge aluminized steel, this kit includes T304 polished stainless MBRP exhaust tips. 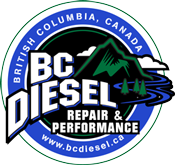 MBRP's AL INSTALLER Series 4" DPF (Diesel Particulate Filter) Back DUAL Exhaust System for your 2011-2014 Ford Powerstroke 6.7L F250/F350/F450 diesel pickup. 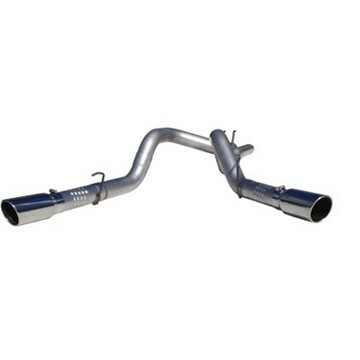 Made from heavy gauge aluminized steel, this kit includes T304 polished stainless MBRP exhaust tips.